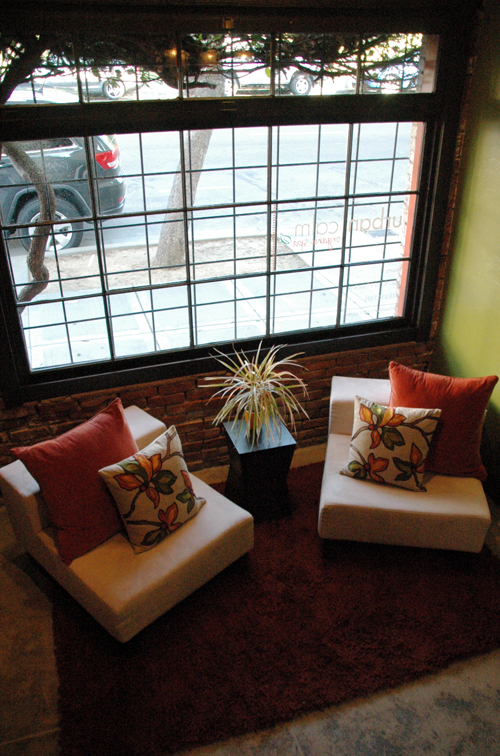 Welcome to Urban Calm, an East Village organic spa retreat established in 2006. Drawing from beauty therapies that are both ancient as well as modern, Urban Calm offers a unique selection of treatments designed to nourish your skin and nurture your spirit. Step out of the hustle and bustle of the city and discover an urban retreat where elements of nature, aromatic essences and soothing sounds take you to a place of balance, harmony and perfect calm. Receive a personalized makeup application with our organic makeup line, Inika. This unique ultrasound exfoliation is an advanced alternative to traditional microdermabrasion as it exfoliates dead skin cells for a clear, healthy complexion without redness and irritation. This non-abrasive treatment utilizes ultrasound vibrations to loosen and remove oil, dirt and cellular debris from follicles leaving the skin clean and healthy. Pores appear smaller and bacteria levels are reduced. The skin is gently stimulated to produce collagen and elastin. Fine lines and wrinkles are diminished and the skin is restored to a smooth, youthful glow. This gentle, non-invasive treatment is highly effective at treating acne, hyperpigmentation, fine lines and scar tissue. A series of 6 treatments is recommended for optimal results. Maintain results with a single treatment every 4-8 weeks. Celluma treatments utilize LPL (LED Pulsed Light) to improve the appearance of your skin easily and painlessly. This safe and effective light technology gradually helps to alleviate the signs of aging. A series of Celluma treatments will improve the appearance of fine lines, wrinkles, age spots, blemishes, redness and rosacea. Your skin will appear smoother, tighter and more radiant showing gradual improvement with each subsequent treatment. A series of 6 treatments is recommended for optimal results. Maintain results with a single treatment every 6-8 weeks. This unique anti-aging procedure combines proven methods that diminish lines and wrinkles as well as sculpt and tone the face, restoring your skin to radiant health. A combination of gemstones, light and microcurrent re-educate facial muscles and address the underlying causes of visible aging. This non-invasive, holistic system provides whole body renewal that takes rejuvenation to a new level. A series of 12 treatments is recommended for optimal results. Maintain results with a single treatment every 6-8 weeks. Diamond microdermabrasion is a modern exfoliating method which uses a diamond tip wand to gently remove the first two to three layers of dead skin cells. This manual exfoliation method is ideal for pigmentation, superficial scarring, fine lines and wrinkles. There is no downtime with this procedure. A series of 6 treatments is recommended for optimal results. Maintain results with a single treatment every 4-8 weeks. Purify your skin with our Lymphatic Detoxifying Facial. This facial treatment is targeted to drain excess fluids and toxins into the lymph nodes. Facial cupping promotes collagen production and provides a visible healthier complexion by improving blood and lymphatic circulation. A series of 12 treatments is recommended for optimal results. Maintain results with a single treatment every 4-8 weeks. Choose from a variety of our signature organic facials, and the time frame that best suits your needs. All 90 minute signature facials include a skin analysis, cleansing, exfoliation, extractions, customized mask, massage of the face, neck, shoulders, scalp, hands and feet. 45 and 60 minute facials will be customized to fit the shorter time frame and focus on the specific skin care needs of each individual. Using cypress and tea tree essential oils, this facial provides a thorough cleansing, exfoliation and reduction of impurities. It is designed to kill bacteria, purify and balance oily and acne prone skin types. 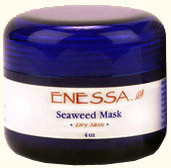 Comprised of vitamins and minerals, seaweed nourishes the skin and provides vital elements such as oxygen to refresh dry skin types. This facial smoothes fine lines, giving way to a radiant, soft complexion. Green tea, seaweed and aloe vera combine to calm, hydrate, reduce inflammation and strengthen the skin’s natural defenses. Ideal for sensitive skin types and those experiencing rosacea or skin irritations. Vitamin C from the Acerola fruit tree, one of the richest organic sources for Vitamin C in the world, is used to rebuild collagen and elastin, fighting the signs of aging. Biological plant extracts reduce the effects of free radicals, lightening the skin making this facial ideal for sun damaged skin. All massage sessions are customized, drawing from the types of massage listed below, to meet the needs of each individual. Organic massage oil and choice of aromatherapy oils are included in all sessions. A relaxing, circulatory massage with rhythmic soothing strokes, using light to medium pressure. Designed to promote relaxation, increase oxygen flow in the body and rid the body of toxins. Designed to get deep into the connective tissue of the body, rather than just the surface muscles, this massage releases tensions in tight areas, restoring flexibility to the body. A nurturing and soothing massage that addresses the discomforts that sometimes accompany pregnancy. Adapted for every stage of pregnancy after the first trimester. Our couples massages are enjoyed side by side in a cozy, candle lit room. Included are a choice of either a Hand or Foot Scrub with Pink Himalayan Salts, complimentary glass of champagne and rose petals sprinkled on the massage tables. Detoxify your system. This massage is performed by a certified specialist with the use of our Medicupping machine that creates suction and negative pressure to drain excess fluids and toxins into the lymph nodes. This vacuum technique is also great for athletes as it loosens adhesions and increases blood flow to the muscles. A powerful combination of essential oils and proprietary herbal formulas are applied to specific acupressure points. Choose from the following formulations to address specific needs and rebalance one's condition: Calm, Energize, Clarity, Detox and Digestion or Protect. A technique that has been used for centuries to gently exfoliate dead skin cells, bring blood and oxygen to the surface of the skin and help in the detoxification process. This treatment stimulates the lymphatic system, helps reduce cellulite and rejuvenates your nervous system. Loosen tight muscles or target specific problem areas. Mechanical cupping loosens adhesions and increases blood flow enhancing muscle release. Hot stones melt away tension, ease muscle stiffness and increase circulation. Himalayan salt stones help melt away tension, ease muscle stiffness and increase circulation. Their added benefits include: alkalizing the skin and replenishing and nourishing the skin and body with 84 minerals. These stones also lightly exfoliate the skin as well as balance and neutralize the ill effects of the toxic frequencies we live with every day. Enhance your relaxation with our hand and foot scrub add-on. The hands and feet are gently exfoliated and wrapped in warm scented towels. The scrub is then removed and a warm, hydrating organic lotion is applied. A purifying and refreshing treatment for the back. After a thorough exfoliation with ultrasonic microdermabrasion, impurities are removed from the pores and a hydrating mask leaves the skin clean and smooth. Pink Himalayan Salts are massaged into the skin of the body to help relieve achy muscles, melt away stress and detoxify your skin. These gentle salts lift and eliminate dead skin cells revealing smooth, glowing, healthy skin. This treatment concludes with a warm lotion application to hydrate the skin leaving it soft and radiant. An organic based tanning solution, utilizing the purest DHA, tans all skin types to their natural tanning color with results lasting up to one week. Exfoliate your body. Pay attention to rough areas like knees, elbows, ankles, hands and feet. 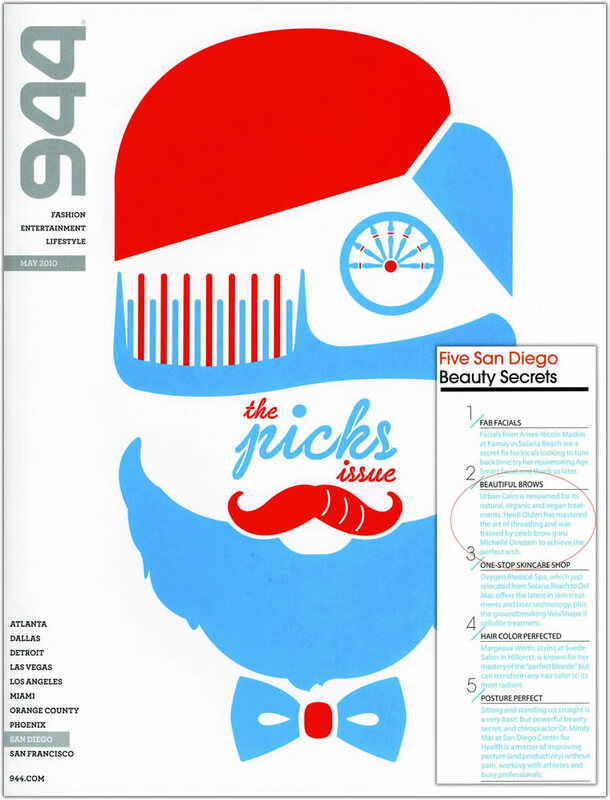 Be sure to shave or wax any areas 24 hours before receiving your tan. Do not apply moisturizer to your skin. It is also recommended that you do not wear any make-up. Avoid touching your skin to prevent your palms from tanning. Do not wet your skin for 6 hours after the tanning session. When showering don't be concerned if some of the initial bronzer washes off, this is part of the tanning process. Pat your skin dry after washing or swimming. Do not exercise or perspire excessively between the tanning and the showering phase. Avoid long baths, hot spas and extended swimming sessions. Also avoid products designed to exfoliate your skin. Skin: If you have highly sensitive skin a small localized test spray is recommended to check your skin compatibility before having your full Sun FX body spray. Clothing: Wear dark, loose fitting attire after your appointment. Any minor rub-off will easily wash out of most fabrics, but some lighter colored materials, including leather and silk, may stain. Sunscreen: A spray tan does not provide sun protection and does not contain a sunscreen. Please make sure you apply sunscreen to prevent sunburn when outdoors. Pre and post waxing care products are all organic and provide great results while reducing redness and irritation. Waxing is contraindicated for use with Retinoids and Accutane. Threading is an ancient hair removal technique and 100% natural. Cotton thread is twisted and rolled along the surface of the skin, entwining the hair and lifting it by the root without irritation. Threading is an excellent option for those with sensitive skin, as well as those who use Retin-A, Accutane and similar products. Pre and post threading care products are all organic and provide great results while reducing redness and irritation. At Urban Calm emphasis is placed on purity and simplicity. Because we absorb into our bodies what is applied to the skin, we seek products that are truly safe, beneficial and wholesome, never harmful to our health or the environment. To truly enhance the health and beauty of the skin, products with synthetic chemicals and preservatives must be avoided. Only products with the purest of ingredients are used to perform our spa treatments and we carry many of these exclusive products in Urban Calm's spa boutique. All of our retail products are organic and from small, family-owned businesses; all are cruelty-free. We welcome you to experience beauty, wellness and purity at home. Our cleansers are all natural, soap-free and P.H. balanced. Made with Aloe Vera and essential oils they are formulated to quickly remove residue, leaving your skin clean and fresh. This organic Neroli Hydrosol, distilled from the bitter orange blossom flowers, is ideal for dry and sensitive skin. A natural toner which will hydrate and condition your skin anytime. 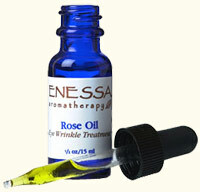 This pure Organic Rose Hydrosol, distilled from delicate rose petals, is designed to rejuvenate all skin types. A natural toner which will cleanse, hydrate and condition your skin anytime. An all natural scrub made with Dead Sea salts, seaweed and crushed flaxseeds. 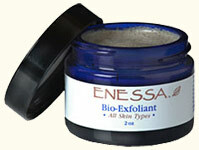 Formulated to gently exfoliate your skin and stimulate new cell growth, leaving your skin revitalized and tingly fresh. You will love the experience and the results! Our Facial Nourishments are specially formulated for individual skin types using Golden Jojoba and specific essential oils to balance, renew and hydrate your skin, leaving it soft and radiant without a greasy feeling. For best results, use with any of our Facial Mists or Hydrosols. These light and soothing facial moisturizers are designed for daily use. Formulated with Seaweed Extract, cold pressed oils, Vitamins A, C & E and essential oils to help retain moisture and balance your skin. 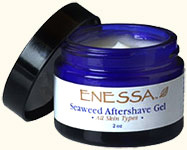 A refreshing facial moisturizer made with essential oils of Peppermint, Eucalyptus and Lavender in a seaweed gel base. 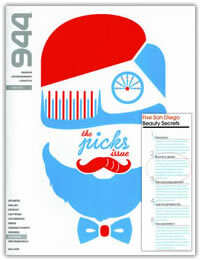 Formulated to work as a natural antiseptic after shaving as well as a daily moisturizer for men. 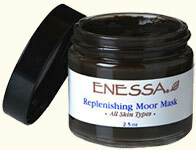 This all natural Moor facial mask is harvested from deep within the Austrian wetlands. Rich in essential oils, fatty acids and lipids, the Moor penetrates the skin and restores PH balance by replenishing it with vitamins and minerals. 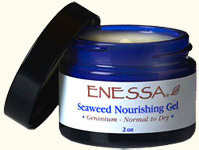 This 100% natural seaweed powder mask is a derivative of French Atlantic sea algae and marine botanicals. Rich in calcium and magnesium, this mask will keep your skin nourished and revitalized. It comes with our Rose Geranium Hydrosol which is used to mix the mask, enriching its moisturizing effects. By selling it in its pure powder form, all of the healing properties remain intact. A medicinal oil blend formulated for the treatment of cystic acne. It kills bacteria, reduces redness and swelling. It can be used anywhere on the body where cystic acne may develop. Ideal for treating cystic acne on the face, back, chest and bikini line. Clove essential oil is a strong anti- bacterial that warms the skin and reduces swelling. This potent blend of anti-bacterial oils combined with Golden Jojoba was specially formulated to control blemishes and help clear up your skin. Use it directly on acne anywhere on the body. Also can be used as first aid for insect bites, skin warts and skin tags. A 100% natural mineral powder made with Lycopodium flower and Zinc Oxide designed to calm irritated skin due to acne, waxing, shaving or any other skin rashes. Excellent to use for baby's diaper rash. A rich nourishing oil blend designed for the delicate skin around your eyes, formulated to help retain natural moisture. In addition to improving the elasticity and tonality of the skin, it also delays the appearance of wrinkles around your eyes - a true cell rejuvenator. Can also be used to moisturize the corners of the mouth and lips. This luxurious facial serum brings a maximum amount of moisture to your skin, while delivering anti-oxidants and increasing cell renewal. It contains a unique combination of anti-aging essential oils which penetrate your skin instantly, protecting it from premature aging. Heidi Olden found her place in the spa industry over fifteen years ago. Drawing on her years of experience as an esthetician she has created a unique selection of effective skincare treatments and hair removal options for you to experience at Urban Calm. Heidi's extensive resume includes her employment at The Four Seasons Resort Aviara where she was able to utilize her skills in their highly acclaimed spa, now listed among the top twenty spas in the world. 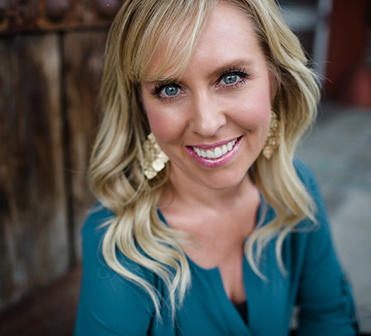 Heidi has worked at several other high end salons and day spas in California and Connecticut and has also offered medical skincare in a cosmetic surgeon's office. After receiving her education and obtaining her California esthetician's license, Heidi relocated to the East Coast and continued her studies at New York's Dermal Institute. Heidi opened her first skin and body care studio, Zenobia Wellness Spa, in 2001 with the goal of offering her clients treatments that would address their individual skincare needs. 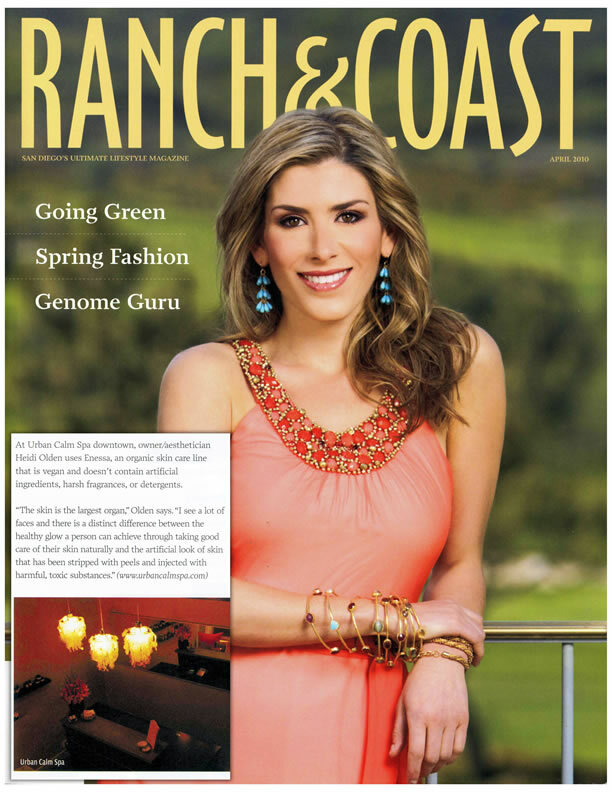 Heidi's fascination with the ancient art of aromatherapy and search for a natural and effective product line led her to Enessa, an aromatherapy skincare line formulated by world-renowned esthetician Michelle Ornstein. 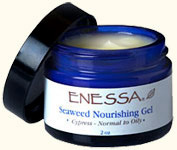 Over the years Heidi has been mentored by Ornstein and is now proud to feature the Enessa line of products at Urban Calm. Always interested in giving her clients the best treatments available Heidi has also mastered the art of threading, an ancient hair removal technique that has been a celebrity secret for the past few years and is now becoming popular beyond the boundaries of New York City and Los Angeles. Trained by Ornstein (who performs threading on many celebrities such as Cher, Salma Hayek and Michelle Branch) Heidi is proud to be among only a handful of estheticians offering this service in San Diego. Combining her extensive training, years of experience, unique touch and outstanding products, Heidi created the spa sanctuary, Urban Calm, in 2006. 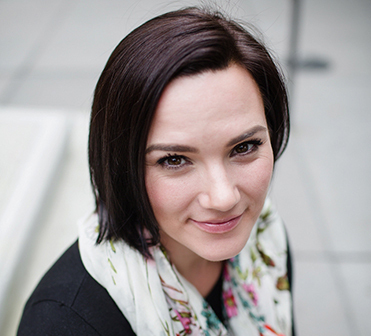 Heidi aspires to deliver the best client experience possible, training each member of her team extensively to ensure that each and every person that steps foot into Urban Calm receives the care and attention that they deserve as well as the highest quality, individualized spa treatments. The products and therapies offered at Urban Calm are based on her belief in purity, a profound state of relaxation, and the restoration of a state of just being, a sense of calm. In order to accommodate her existing clients, Heidi is not accepting any new clients at this time. Brenda Bradley, licensed esthetician, has been a part of the Urban Calm team since 2009. Brenda, a Washington state native, began her career in esthetics in 2005. Since that time she has acquired extensive experience in the spa industry. Brenda began her career by working at a medical spa. She then moved on to Lale Spa, in Sacramento, where she remained for two years. 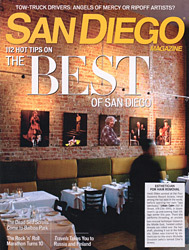 After relocating to San Diego, Brenda found her place at Urban Calm. At that time Brenda trained extensively with Heidi, learning the unique and specialized skincare treatments Heidi had created for her clients at Urban Calm. Brenda worked side-by-side with Heidi and under her tutelage she also quickly mastered the art of threading. Brenda's talent in creating the perfect brow shape with her artistic threading technique was quickly discovered and she now has a loyal following for her expertise in brow shaping and threading hair removal. In her years as a licensed esthetician, Brenda has made it a point to work with many product lines, from natural and organic to cosmeceutical and pharmaceutical. This has allowed her to gain a vast knowledge of what the world of skin care has to offer. Her preference remains working with effective, organic and natural products. Brenda strives to help her clients develop a skincare routine utilizing products that are not only good for their skin, but good for the environment as well. Brenda focuses on giving her clients the best spa experience possible and tailors the care she provides them to their own individual needs, whether that be assisting them in achieving their ideal brow shape or creating a specialized routine to target specific skin concerns. She strives to keep herself up to date on the latest skincare trends so that she can educate and share her knowledge with each client. Outside of her drive to provide her clients with the very best spa experience possible, she possesses a unique touch and demeanor that keep drawing her clients back again and again. 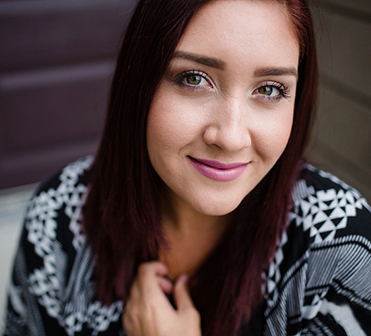 Samantha Pimentel, licensed esthetician and certified makeup artist, graduated from Bellus Academy in 2012. There she received comprehensive professional training in all aspects of the esthetics industry, including skin analysis and conditions, facials, chemical treatments, skin treatments, hair removal and makeup application. After obtaining her license in esthetics, Samantha began her career at Massage Envy. She soon moved on to join Urban Calm and trained extensively with both Heidi and Brenda to prepare her to offer Urban Calm's spa offerings with the same high standards that their clients have come to expect. It was Samantha's passion for helping others achieve their best personal wellness and beauty that first inspired her to become an esthetician and that passion shines through with each and every spa treatment she performs. Her love and passion for skin care, her nurturing touch and her sincere desire to help others come together to create a serene and relaxing spa experience. 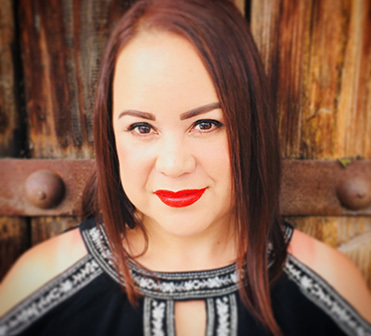 Elizabeth Higuera, Licensed Esthetician and Certified Massage Therapist, joined Urban Calm in early 2018. Drawn to the spa industry by her desire to achieve more balance and wellness in her own life, Elizabeth began her spa training and education in 2012. 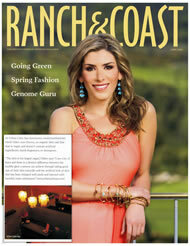 She attended Marinello Schools of Beauty where she received her esthetics training and certification. She then went on to receive her Master Spa Therapist certification in 2013. Since that time she has pursued additional esthetic training in skin conditions such as acne, pigmentation, aging and rosacea. Her extensive training as a Master Spa Therapist has equipped her to be well versed in LED Light Therapy, Lymphobiology, Integrative Modalities for Oncology Patients, Classic Lash Extensions and Chemical Peels. In 2016 Elizabeth went on to pursue her certification in massage therapy at Bellus Academy. As a Certified Massage Therapist she has been trained in a variety of modalities such as Swedish, Deep Tissue, Hot Stone Massage, Sports Massage, Craniosacral, Prenatal and Ace Cupping. She has extensive training and experience in body scrubs, wraps and Aromatherapy. She is currently interested in furthering her education by becoming certified in Oncology Massage. Elizabeth is very passionate about meeting the needs of each of her clients whether it be by way of bodywork or skin therapies. She keeps up to date with the current trends and latest treatments in skin and body care so that she is able to offer her clients the most effective and beneficial treatments and guidance. Her passion and love for her trade as well as the clients she works with makes her an outstanding therapist as is evidenced by her loyal following. 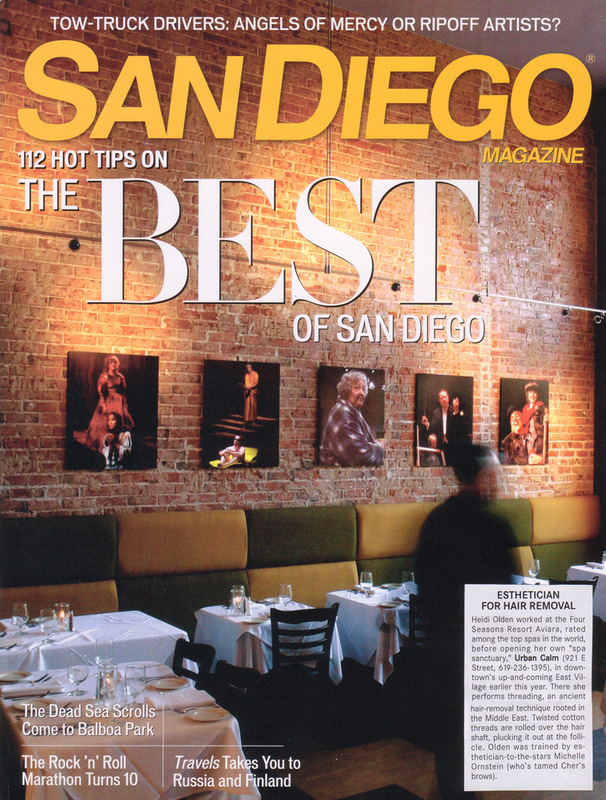 Located in downtown San Diego's East Village, Urban Calm offers a soothing oasis of tranquility just minutes away from downtown's business district and only a short walk from Petco Park and the historic Gaslamp Quarter. There is metered parking on Ninth Avenue. Please allow a few extra minutes to park on game days/nights. Due to the popularity of our unique services, we highly recommend that you make a reservation well in advance for your treatment. A credit card is required to hold your reservation for treatments over 45 minutes. Since your appointment time is reserved for you, and without advance notice others aren't able to fill that time, please notify us at least 24 hours before your scheduled appointment should you need to cancel or reschedule. Appointments cancelled or rescheduled in less than the required time will be charged the full amount of treatments booked and/or will forfeit the value of the gift certificate on file. Late arrivals will result in a shortened appointment. Cash and all credit cards are welcomed. We do not accept personal checks. Gift certificates are redeemable for any combination of products and services and may be purchased by mail, by phone, or in person. Certificates must be presented at time of appointment and are non-refundable and are not redeemable for cash. “Heidi Olden worked at the Four Seasons Resort Aviara, rated among the top spas in the world, before opening her own “spa sanctuary,” Urban Calm (726 Ninth Avenue, 619-236-1395), in downtown's up-and-coming East Village earlier this year. There she performs threading, an ancient hair-removal technique rooted in the Middle East. Twisted cotton threads are rolled over the hair shaft, plucking it out at the follicle. Olden was trained by esthetician-to-the-stars Michelle Ornstein (who's tamed Cher's brows).